One of the major reasons people install conveyor systems is to help them cope with growth, space planning issues, and the desire to execute more business in a limited footprint. The ability to accumulate, complete tight turns, and utilize multiple floors (or levels) to move product can give you advantages in flexibility by freeing up more of your space to expand your business and services. 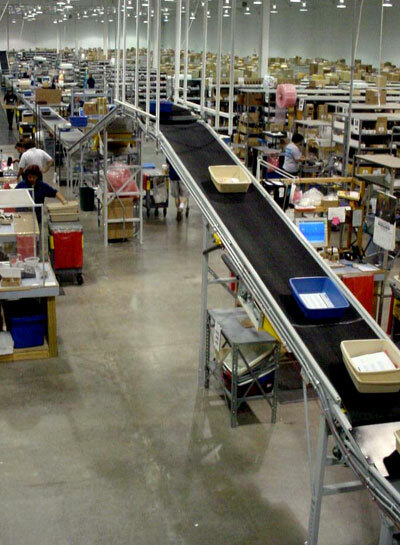 Conveyors can be suspended from the ceiling or merge product onto a mezzanine. They can be configured in multi-tier lines that convey twice or three times the product in the same floor area. A conveyor can also eliminate the need for bulky equipment like fork trucks in some areas, creating a more efficient environment that allows you to use the space you have for value-added services. When the need for forklifts is reduced, you not only gain space by eliminating traffic lanes, you increase safety. Also consider that overhead (ceiling mounted) systems can dramatically reduce floor space consumption in a busy operation, freeing floors for manufacturing, distribution operations, production equipment, and more. Ultimately, more floor space means more operational flexibility to add production cells, temporary staging, or other critical functions. A great material handling solution can increase your throughput drastically and can save your business time by eliminating redundant tasks. When you eliminate a redundant task for an employee, they can focus on more productive activities and tasks. This more flexible structure allows you to more fully engage your workforce while increasing productivity at the same time. That’s a win-win because allowing people to work on more productive tasks is probably the greatest flexibility possible. Interactions with a product during its transport or process are called a “touch”, and touches cost dollars. Fewer touches mean more flexibility and the ability to execute more tasks with fewer people, with more added value. Savings almost always equals flexibility because more dollars allow you to execute other projects, make new investments, and take advantage of opportunities. Of course, you’ll be saving money by utilizing your time and space more productively—but even more than that, you can see real savings when you have the right system in place. Conveyors today can implement many cost-saving elements, from maintenance costs to energy costs. You get to choose where to invest the money you save when you bring down your total cost of ownership in your facility. When you invest in a material handling solution, create it with your future in mind. A good system can help your business grow, and it can also grow with your business. 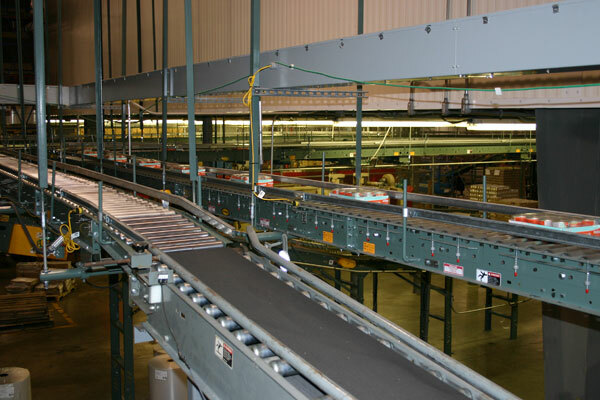 Good conveyor systems evolve and can handle your loads today and in the future. Your company is changing as quickly as the manufacturing industry is. How are you preparing for your future? Paige Carswell is the Marketing Specialist for Hytrol.